Join us for Spring Treat4Mom with Fit4Mom! Spring Fitness and fun activities for mom and kids! 10:00AM Children’s entertainment, Raffle Prizes and MORE! FIT4MOM is dedicated to the Strength In Motherhood. By providing classes and support for moms in every stage of motherhood. 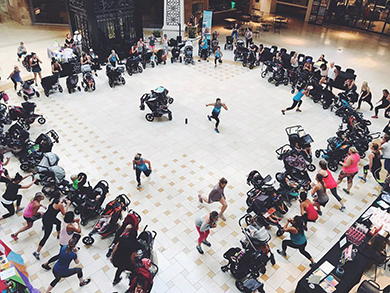 Through Fit4Baby's prenataltness classes, Stroller Strides, Body Back, and Our Village, women have the opportunity to have a workout and support that is flexible around motherhood.